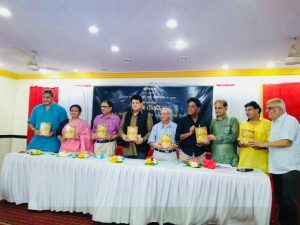 Celebrated film journalist Krishna Mohan Srivastava recently launched a book titled Bombay Talkies – The Pillar of Indian Cinema in a grand ceremony in Mumbai. This historical book is based on the life of the founder of The Bombay Talkies Studios – the legendary Rajnarayan Dube and his contribution to the Indian entertainment industry. Senior film journalist Krishna Mohan Srivastava has authored this biography, which is printed and published by VishwaSahityaParishad. The Bombay Talkies Studios established by Rajnarayan Dube has been synonymous with the Indian film fraternity and has played an integral part in the world of entertainment. It has launched artistes of peerless calibers, such as Devika Rani, Ashok Kumar, Madhubala, Dilip Kumar, Raj Kapoor, Mehmood, Kishore Kumar and LataMangeshkar among others. 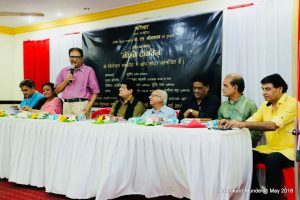 The book launch ceremony witnessed an array of distinguished film journalists popularly known for their remarkable contributions to the history of Indian cinema. Renowned writers, actors and various personalities from the filmy world graced this eminent event in Mumbai. Veteran journalist and author Krishna Mohan Srivastava has beautifully crafted this book using his experience from his illustrious career of fifty years in film journalism. 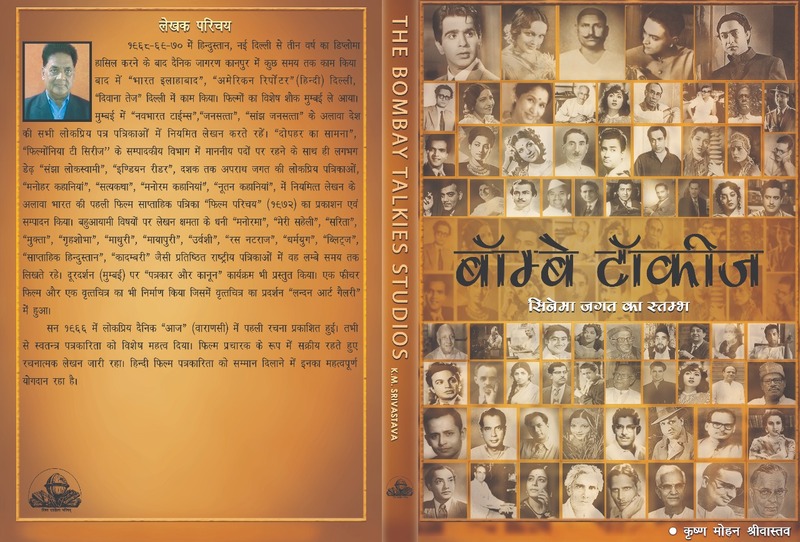 Bombay Talkies – The Pillar of Indian Cinema essays the establishment and development of The Bombay Talkies Studios by RajnarayanDube while it underscores the man’s struggle to achieve success. 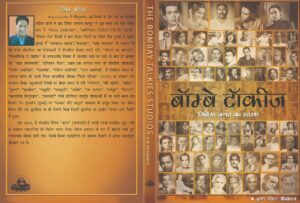 This publication brings to light some of the unknown and lesser-known facts about the history of Bombay Talkies and its founders Rajnarayan Dube, Himanshu Rai and Devika Rani. It highlights the artistic restlessness of HimanshuRai, his unparalleled contributions, and Rajnarayan Dube’s strife while on his path to success. Courtesy to The Bombay Talkies Studio, acting emperor Dilip Kumar, melody queen Lata Mangeshkar, great showman Raj Kapoor, all-rounder legend Kishore Kumar, extremely talented Mahmood and world-renowned director Satyajit Ray along with over 200 other artists and technicians got an opportunity to showcase their talents and achieved name, fame and respect in their own fields. The Bombay Talkies is all set to make a comeback with its forthcoming film Rashtraputra, which is based on the life of one of the greatest revolutionary Chandrashekhar Azad. The film is helmed by a military school student, Aazaad and will be released worldwide in 26 Indian and foreign languages, like, Tamil, Punjabi, Telugu, English and French among the rest. The movie will also release in Dev Bhasha Sanskrit for the first time in the history of world cinema.